Appleseed and the network of centers identify barriers to opportunities and justice. It is an evidence-based advocacy organization whose victories secure lasting access to opportunity and justice for all. Appleseed was founded in 1994 with the mission to develop and help sustain a network of state advocacy centers that address local issues and develop and promote practical, systemic solutions. Visit the network site at AppleseedNetwork.org. We built a brand new Massachusetts Appleseed website with a new hosting server and migrated existing content to the new location. The Massachusetts team valued fresh branding, a mobile responsive website, and most importantly, a restructured navigation hierarchy. The result is a website featuring an easy-to-understand user experience. 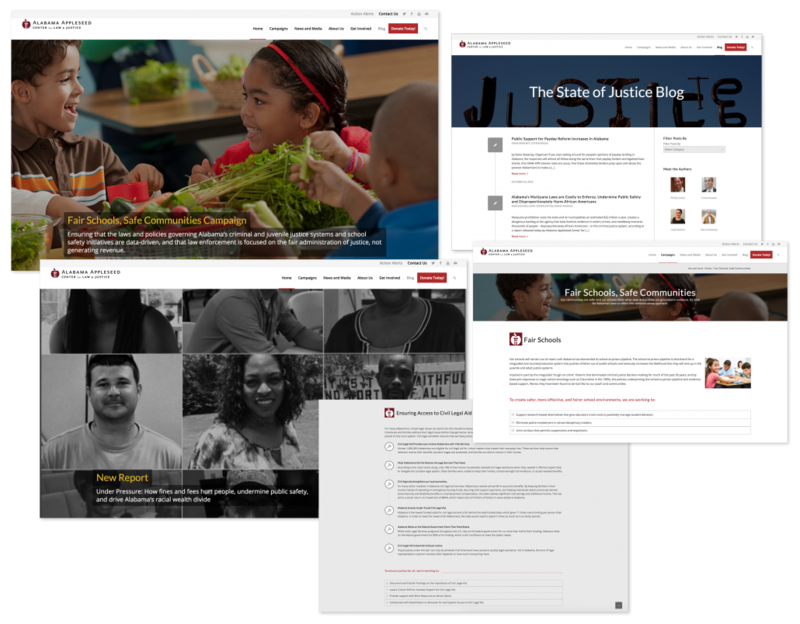 The Alabama Appleseed team wanted a website that reflected both the broader network style and stood alone as unique branding. 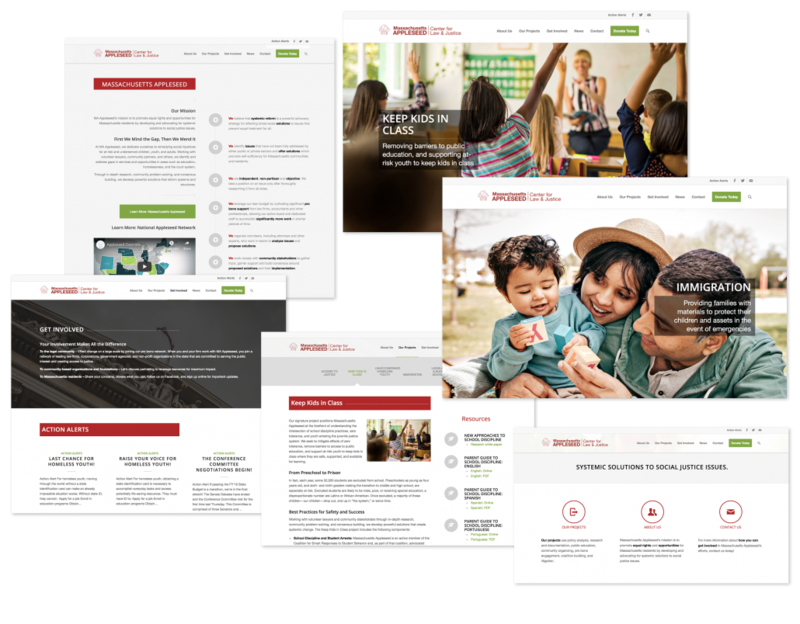 While they embarked on a logo redesign, we created a website that highlighted recent reports, reorganized the programs under two main campaigns, and provided a variety of navigation paths for users.